When you take out a mortgage or a home loan, you borrow a sum of money and allow your lender to place a lien on your house. With either type of loan you may have a term time that lasts for between 5 and 30 years, and a fixed or variable interest rate. 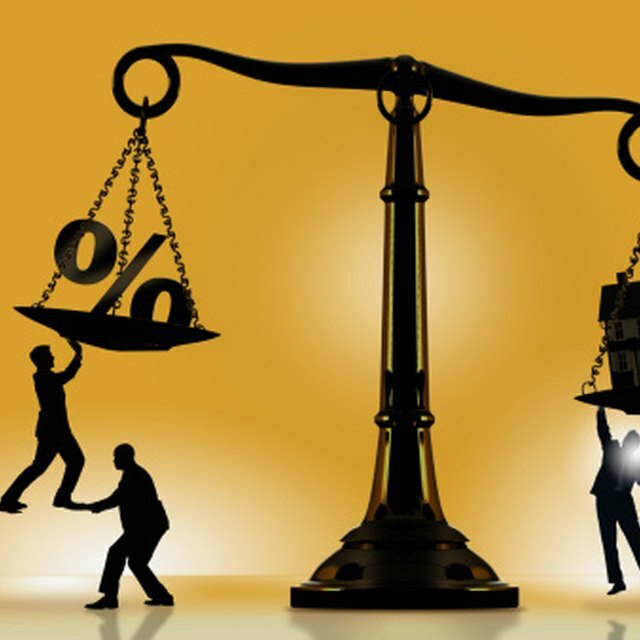 Despite broad similarities between these lending products, interest rates for mortgages and equity loans are calculated differently. Every loan agreement includes two principal parties: a borrower and an investor. In many instances, banks are effectively intermediaries in the mortgage process as these loans are typically sold to mortgage investment firms such as Freddie Mac or Fannie Mae. In turn, these firms bundle mortgages together and sell packaged loans to mutual fund companies and individual investors. In contrast, home equity loans are usually portfolio loans, which means the loans are kept in-house by a bank rather than being sold to an investor. Within the investment arena, most professionals regard the federal government as the most creditworthy borrower. Consequently, rates paid on federal Treasury bonds are usually lower than those available on other types of loans. Lenders and investors track the rates being paid on Treasuries and use the average rate as a barometer for establishing mortgage rates. Most home loans are paid off or refinanced within 10 years. Consequently, mortgage rates roughly follow the 10-year yield on federal Treasury bills. There is no fixed margin between mortgage rates and bonds, but mortgage rates tend to remain between 1 and 2 percent above the current 10-year Treasury yield. Every financial institution has a prime lending rate. This rate represents the interest rate that is available to the bank's most creditworthy customers. The Wall Street Journal tracks the prime rate at the nation's major banks. Many banks use the Wall Street Journal Prime Rate Index to set rates on home equity loans and lines of credit. The federal government can impact the prime rate by raising the cost of loans to banks. Increases or decreases in lending costs for banks are passed on to consumers. Other institutions base equity loan rates on the London Interbank Offered Rate (LIBOR), which is the British equivalent of the prime rate. Interest rates on home equity loans and lines of credit are often higher than rates on mortgages. If you default on a home loan, your lender has to absorb the entire loss, whereas losses tied to a mortgage default are shared between a pool of investors. Additionally, equity loans often occupy the second rather than the first lien position on your house. If your home goes into foreclosure, the equity loan lender can only make a claim on the foreclosure sales proceeds after your first mortgage has been paid off. Within the lending arena, higher levels of risk are usually synonymous with higher rates and a lien position can have a big impact on a home equity loan rate.